Golden Lebanon Tours considered from Golden Group at the middle East and was founded 2001 based in the city of Beirut by group of local touring experts as a travel guide and tour operator in Beirut and the whole of Lebanon which meets all tourists and travelers needs and fulfill their aspirations. GLT organizes and handles different touring styles in and beyond starting at quick layovers from Beirut Airport to discover best highlights of the city, Lebanon Packages and also day tours from your residency in Lebanon in addition to transfer and taxi services. Since we were founded our mission was always to deliver the best quality ever to our friends and travelers for reasonable prices achieving the best value of money, We do care about every single moment that you have in Lebanon, our really success when we let you enjoy touring with us even more than you expected to have. So that we do promise to surpass our customerï¿½s expectation, aiming to create a long and lasting relation with our customers, it is not just about touring!! Based on our long and deep experience in traveling and touring field, we realize that people travel from home to discover new things, places and live totally new experience, So that it was our commitment to let out travelers get involved in totally local experience with all its aspects. 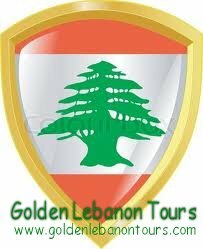 Golden Lebanon tours was basically composed of group of expert tourism makers in Lebanon, and due to our work traffic we were expanded and new members joint our team, but the thing which really combines us is our passion about delivering best touring experience ever. We love what we do and this is one of our success secrets.